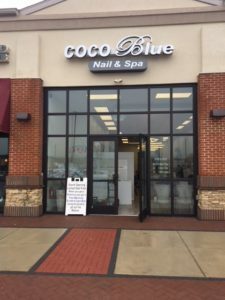 Now Open Coco Blue Nail Salon & Spa in Blue Bell, PA! The professional manicurists at Coco Blue have opened a new salon in Blue Bell, PA! Conveniently located at the new shopping center, Center Square Commons 970 Dekalb Pike, Blue Bell, PA 19422, on the corner of Skippack Pike and DeKalb Pike (rt.202). Plenty of parking and open 7 days a week by 9:30am. Some of the services provided are Manicures. Pedicures,Kid Services, Reflexology, Waxing, the Coco Special Massage and Hard Gel Enhancements. Special package pricing available. Call them today at 610-277-7300 to make an appointment or just walk in, what ever works for you. Go to www.cocobluenailspa.com to check them out. Gift certificates available. ATM service available. Luxe Nails in Northern Liberties Rocks! Select Performance Corp. Adds ATM Service!